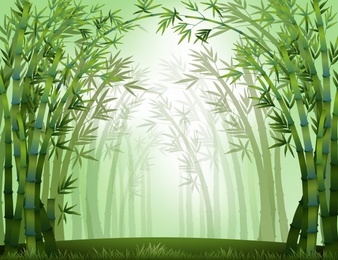 The 17th century, French writer Jean de La Fontaine, in his collection of fables, depicted a very profound spiritual teaching in " The oak and the bamboo". The oak might stand strong and proud, his ego giving him for a while the sense that it is above everything and all, yet the bamboo by bending and swaying in harmony with the wind will eventually be able to survive and thrive the strongest storm. Living spiritually, like yoga, is about learning not to be stiff, physically, intellectually and emotionally and to stretch in harmony with our abilities, in order to connect and experience the totality of 'The Light' which all creation and creatures are made of. Now and for Eternity.